There are so many different types of actions that you can use from Glitch effects, to black and white, to HDR and much more. Photoshop actions are powerful and great time saver when it comes to batch photo processing. 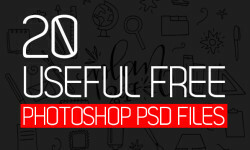 These actions have been created by various designers and photographers and have been made available for free download. This PS Action design to let you create a dispersion debris crystal from your photos. When you hit a play button, It’s auto generate the crystal debris in detail and well organize layer structure. Add special effects into your photo instantly using Portrait 2 photoshop action. This action will create lots more elements that can be edited manually. Add special effects into your photo instantly using Printed Photoshop Action. This action will create lots more elements that can be edited manually. This can happen if you have insufficient memory installed on your computer. Photoshop can chew up lots of memory! This Action is perfect for flyer designs,invitation designs for partys,posters,movie posters and anything else that you need pastel effect on… Don’t waste your time, just use this action and it will do the job for you in no time. Create professional mix arts artworks from your photos in the easiest possible way. Not only is it simple to it then becomes lots of fun playing around with all the layers ! Everything generate the mix art, remains layered giving you lots of creative control. This action works in a non-destructive way to achieve a high quality look.